Great sounds from Henri Texier – a jazz musician who's always way more than just a jazz musician – especially on his 70s records, which have a really freewheeling way of mixing things together! This record is to French jazz what the Virgin Records 70s albums of Lol Coxhill were to British jazz – a way of finding a space to resonate with some of the more progressive elements of the period, while never sounding like prog at all – and also while not trying to ever be avant or free jazz either! 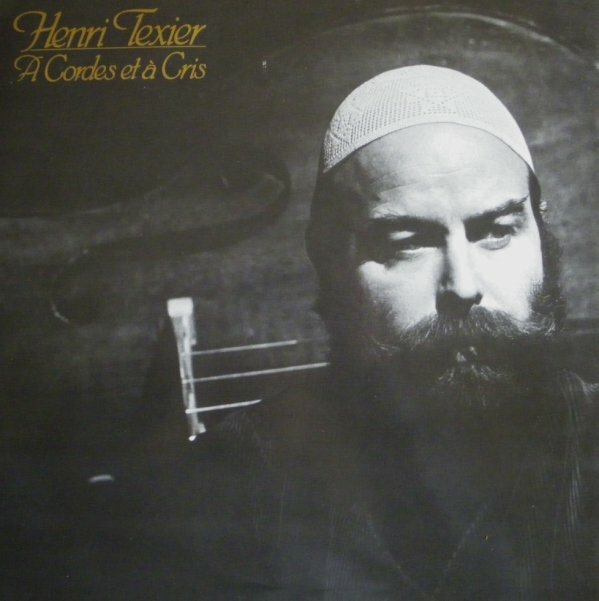 Instead, Texier uses his bass in songforms that are both vocal and instrumental – the former with sounds that are more wordless than lyrics, and which have a great way of ringing out alongside his bass. His partners in crime on the record include Gordon Beck on piano, Aldo Romano on guitar, Jean Charles Capon on cello, and Didier Lockwood on violin – but Henri plays many instruments himself, including percussion, flute, and oud. Titles include "Hocoka", "Exode", "Blues Urbain", "Chemin De Vie", "Luce D'Alba", "Kanar Labour", "Libertad", and "A Cordes Et A Cris". © 1996-2019, Dusty Groove, Inc.